For visually impaired students, navigating around a building or a college campus is often a challenging task. 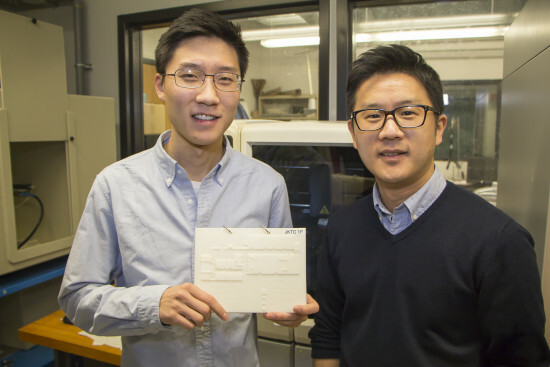 That’s set to change, thanks to Jason Kim and Howon Lee, researchers at Rutgers University School of Engineering in New Jersey. 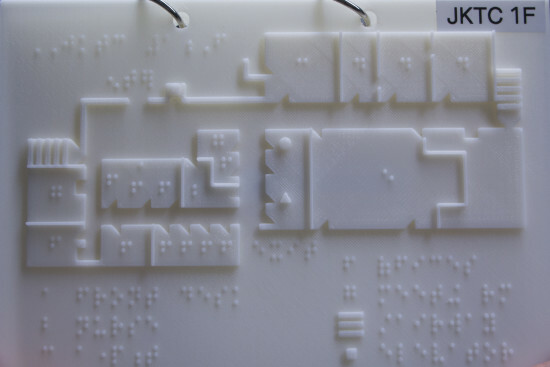 The duo has developed 3D printed braille maps of their campus. Kim, a senior mechanical engineering student and Lee, an assistant professor at the Joseph Kohn Training Center (an institution that helps the visually impaired), designed the maps with the help of CAD software, SolidWorks 3D. When complete, the maps are about the size of a standard iPad. Like normal maps, some will be fixed to the walls of the university, however, these will only offer a limited selection of braille labelling. The maps are intended to be carried around in a binder by students for easy access personal reference. Before starting the project, both said they knew nothing about the format of braille and had a lot to learn. Visiting the Joseph Kohn Training Center multiple times the pair received feedback from faculty and students, being able to finish the map by the end of summer. “One of the things we saw with conventional braille printed on paper is that it doesn’t last long,” Lee said. So far, only one map has been produced, though Lee hopes to lower production costs with the aim for every interested student to have a map by the start of the new first semester. Lee also spoke of his interest to develop more maps for the rest of the Rutgers campus and city of New Brunswick, NJ. The idea is to “give freedom, extended freedom, to navigate and go from one place to another without worrying too much,” he said.